All Van homes currently listed for sale in Van as of 04/20/2019 are shown below. You can change the search criteria at any time by pressing the 'Change Search' button below. If you have any questions or you would like more information about any Van homes for sale or other Van real estate, please contact us and one of our knowledgeable Van REALTORS® would be pleased to assist you. 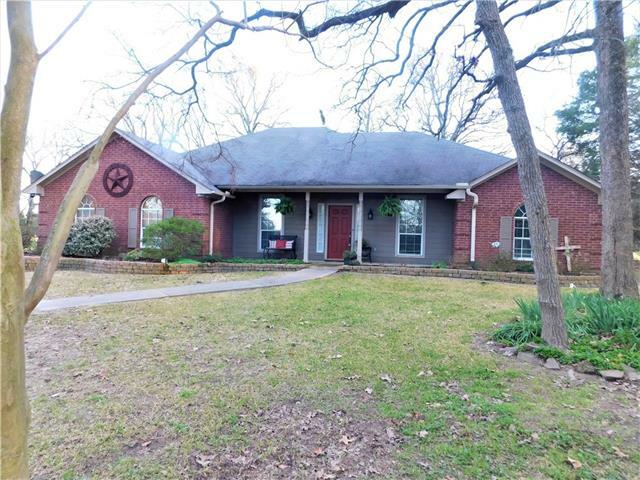 "Nice 4 Bedroom, 3.5 Bath 3-Story Home sitting on just over 0.75 Acres in Van ISD. Home features spacious kitchen with Abundant Cabinetry, Pantry, Granite, SS Appliances, Gas Range. 2 dining areas. Open living area. Master suite, walk-in closets, jetted garden tub, separate shower. Additional 2-Story Apartment with unlimited potential... MIL Quarters, Rental, etc. Large lot at the end of a dead-end road. Gunite with Flagstone Boarder Swimming Pool. Convenient Commute." "What a set up just outside of town. Very well maintained 4 bed, 2 bath home with office, eat-in kitchen dining as well as formal dining area. Split Master bedroom with large bath shower, deep soaking tub, make-up area, potty room and nice sized walk-in closet. Spacious laundry room with extra storage area attached. Nice sized kitchen with granite counter tops, walk-in pantry and stainless appliances. Cozy living room with wood burning fireplace. 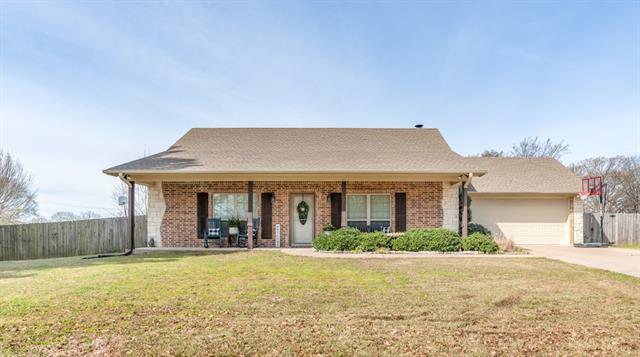 Outside you will find 25,000 gallon fenced in-gro"
"Great Neighborhood - Van ISD - Beautiful 3-2 Brick Home built at the end of 2017 on a large corner lot with a privacy fence. This home has upgraded features and as you walk into the main entry way, it opens up to the living room, kitchen and dining for that nice open concept feel and just off the living room is a bonus room. The Bonus room is the perfect size for an office but it could be anything you need extra space for. 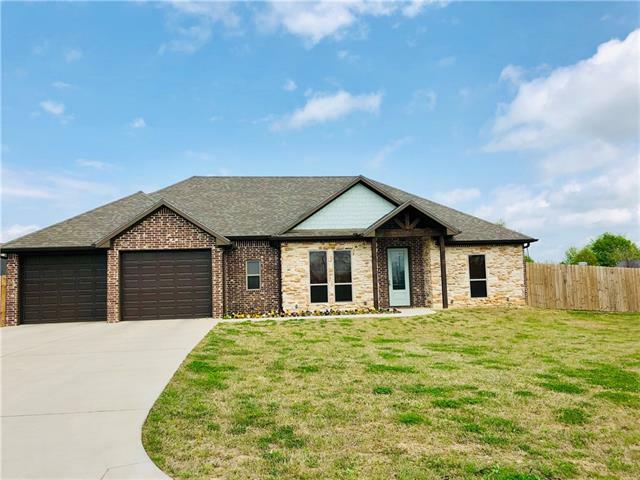 The master bedroom and bath has his and her vanities, soaker tub, stand a"
"Elegant brick with separate dining, large living area with wood burning fire place and builtins. Wood and tile flooring throughout. Spa tub and walk in closets. Great entertaining backyard with large deck. Additional garage, workshop spaces. Beautiful parklike side yard. Convenient to schools, shopping and I-20. Neighborhood of like nice homes. Yard sprinkler system. Have new survey and inspection report." "MOTIVATED SELLER !!!!! CORNER LOT! This 3 bed 2.5 bath, 2 car garage with a great foyer boasts a kitchen with a picturesque window, plenty of cabinets, and newly installed oven. Relax in the beautiful large living area with wood laminate flooring, French doors and ceiling to floor windows. 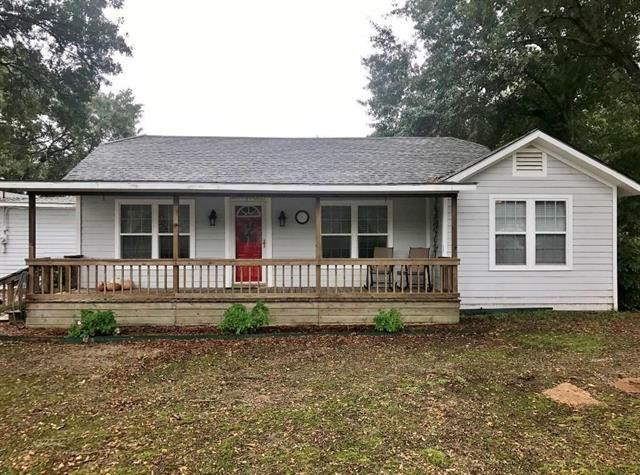 Enjoy a fire in the wood stove on chilly days while looking out at the backyard that features a big oak tree and pecan tree with an above ground pool and deck right off the covered porch. 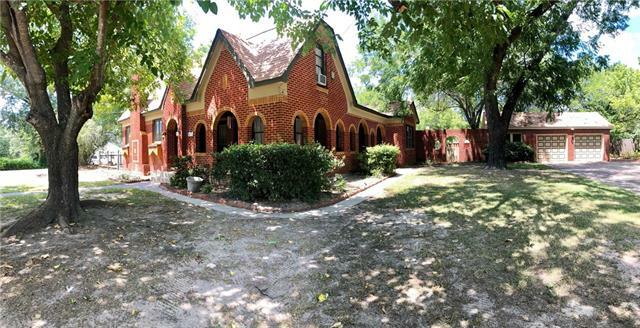 The seller has instal"
"Majestic historic brick two story home with four bedrooms two baths and recent updates. Formal dining room. Chandeliers throughout. Extra interior storage. Large covered porch and a large screened porch. Two AC units. Guest house. Separate office. Workshop. Convenient to schools, shopping, and interstate. Wonderful family home in Van." "This property has 5 bedrooms, 4.5 baths, 2 living areas and tons of storage space. It also has a storage building in the back. Spacious bedrooms, updated kitchen, beautiful tile work, and move in READY! The separate Artist studio or shop or extra storage, you decide, has half bath and living area. 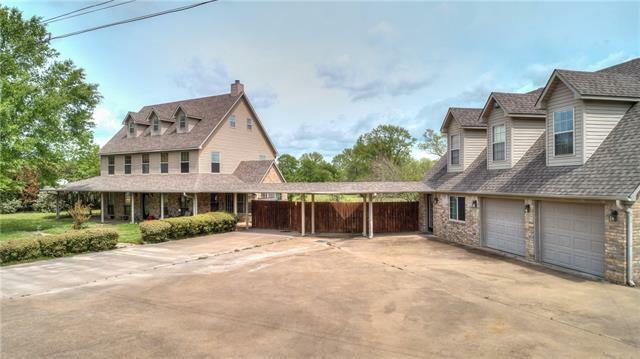 On this on a acre plus, close to everything but yet room to relax. Priced well. Please call for your private showing today." "Come see this beautiful brick and stone home that sits on an oversized corner lot in the welcoming town of Van. Inside you will be greeted with updates galore! From brand new granite countertops in the kitchen to carrera quartz in both bathrooms this home has it all. The owners have taken great pride in making sure every detail of this house comes across as cozy but custom. Go outside to enjoy the beautiful views from this already fenced backyard. Make your appointment to see this one today beca"
"This home is unlike any other with its unique floor plan and design. Off entry, a large bonus room with French doors that could be opened up to kitchen and used as a formal dining room or made into 4th bedroom or gameroom. Three spacious bedrooms each boast 2 closets and a private bathroom. Family room features brick flooring and exposed brick walls, wood-burning fireplace and built-ins. Kitchen-dining feature bay window, built in hutch, slate flooring, farmhouse sink, subway tile, custom cabine"
"Great 3 bedroom 2 bath 2 car garage home with a double driveway in the Fowler 1 neighborhood. 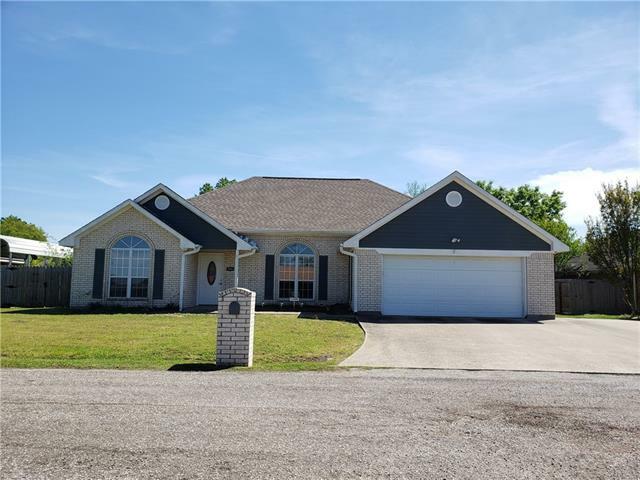 This beautiful home with an open family room has an updated eat-in kitchen with granite counter tops, stainless steel appliances, microwave, disposal, dishwasher, and ample cabinet space. The master bedroom has 2 closets; one in the bedroom and one in the bathroom. 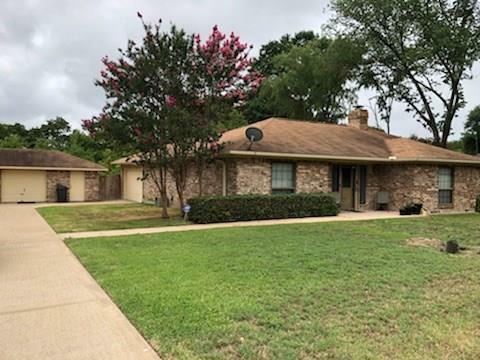 Additional features include ceiling fans through out, blinds, Central AC and Heat, security system, gutters, washer dryer hook ups and is ca"
"Large attractive brick with fenced side yards. Spacious open living area. Unusual large walkin closets, great storage. Nice workshop plus additional utility building. Mature shade trees. Back patio. Wonderful family home. 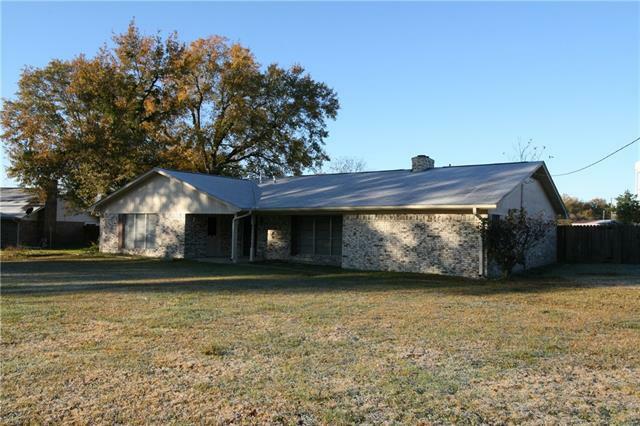 Convenient to schools, shopping and I-20." "Plenty of room for a growing family. 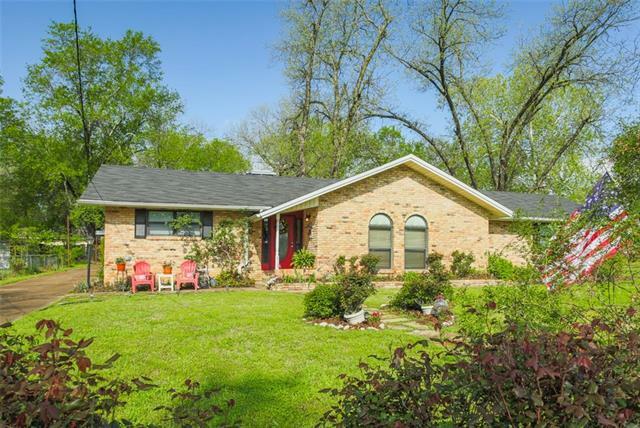 This three bedroom, two bath home is located on a quiet street in a wonderful neighborhood. 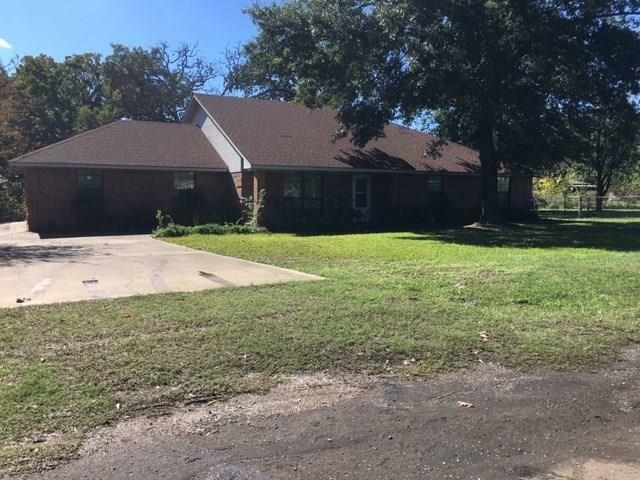 Sits on 2 lots with a large outbuilding and a four car carport." 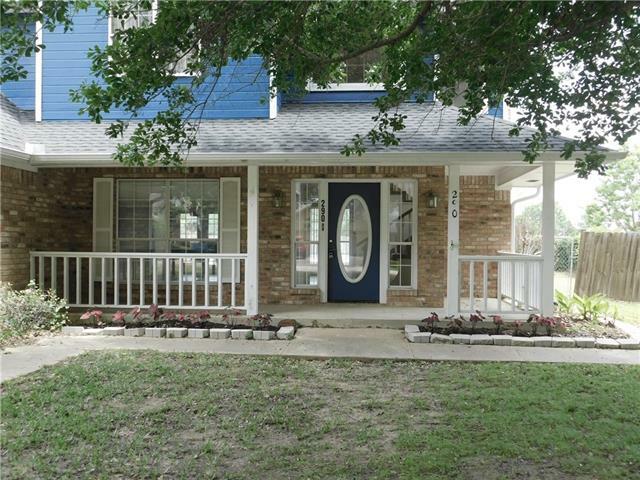 "Charming and affordable home in sought after VAN ISD! 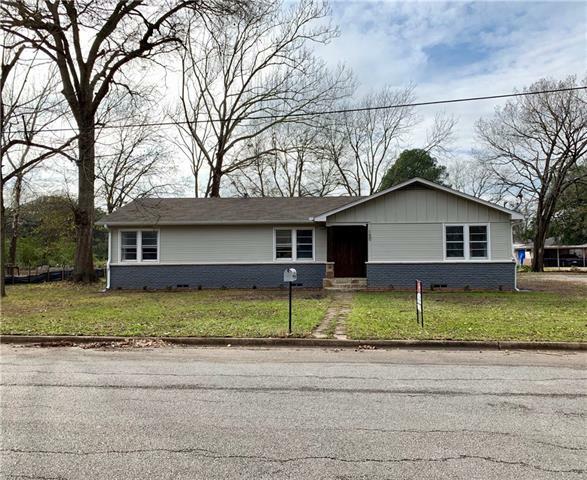 This recently updated, 3 bedroom, 2 bath, 2 car garage, spacious home features plenty - open floor plan, hardwood floors, new appliances, granite countertops, tile backsplash in the kitchen, shiplap walls and spacious living room. New roof, new HVAC system and bonus sunroom. Huge bedrooms, master bath has tiled walk in shower. Custom finishes throughout. 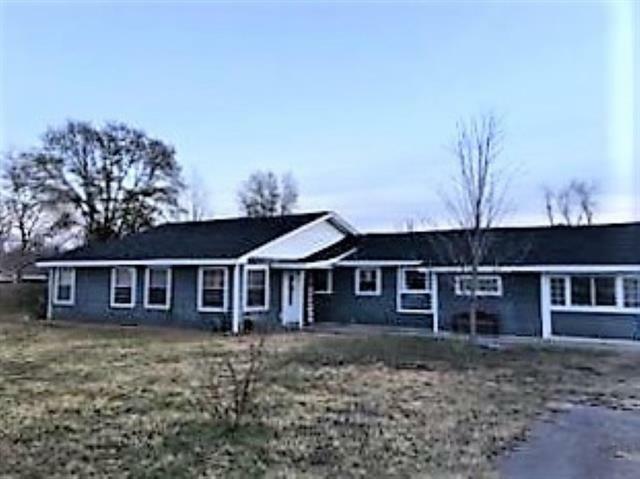 This home just needs new owners!" 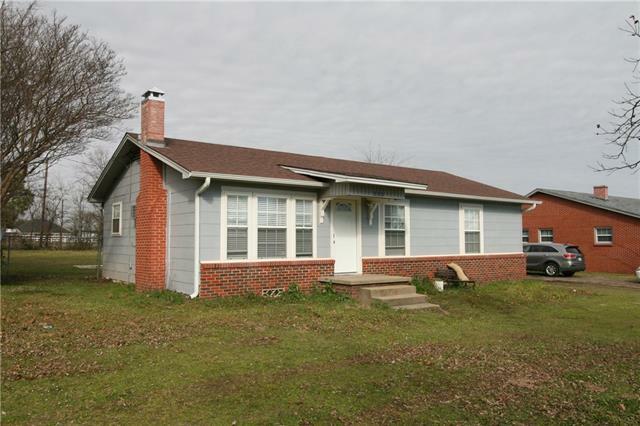 "Check out this CHARMING home situated in great location - convenient to town! Enjoy having a large Living Room, & a HUGE Master Suite! Outside is complete with covered front porch & patio, giant shade trees plus a 2ND PARCEL in back included!" 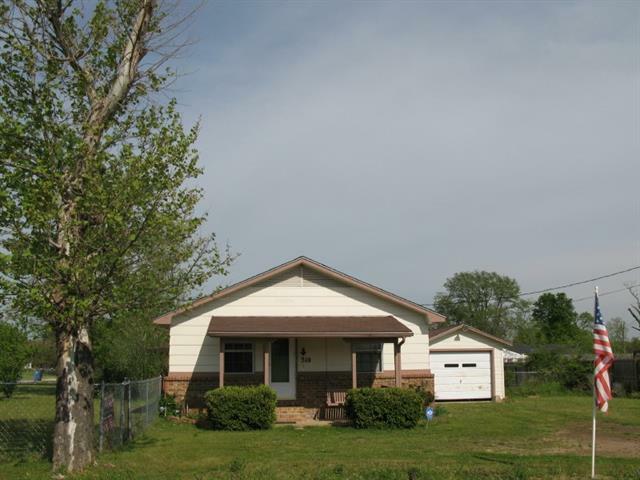 "Come check out this cute 3bedroom, 1bathroom, 1040 sq ft home. Has beautiful wood floors, spacious front and back yard as well as a a garage which is not attached. Great starter home or investment opportunity. This home is currently being used as a rental property and the tenants contract doesn't expire until Nov 9th 2019." "Stop Paying RENT and storage fees . Quaint 2 bedroom 1 bathroom older home ready for the 1st time homebuyer or downsizing family. Wood Floors in Living Room. Gas Range, Refrigerator convey with sale. Laundry Room, Gazebo, Storge Building, Garage, Central Heat and Air . Approx 0.50 Acre corner lot, Fenced nice mature trees, front porch. Enjoy a garden, chickens and room for the animals to enjoy. Quick access to I 20 for commmute to Tyler or Metroplex. Escape the city and explore VAN TX. Schedul"